What happens when you cross Dragons’ Den with new musicals? 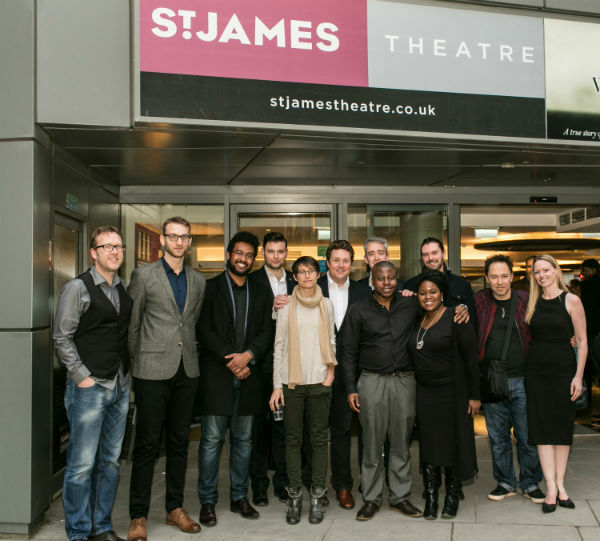 In November, I blogged about three ‘new’ musical schemes, including The S and S Award, which was held at the St James Theatre. On Friday, I was back at the St James covering another great scheme – and award – to add to the list. 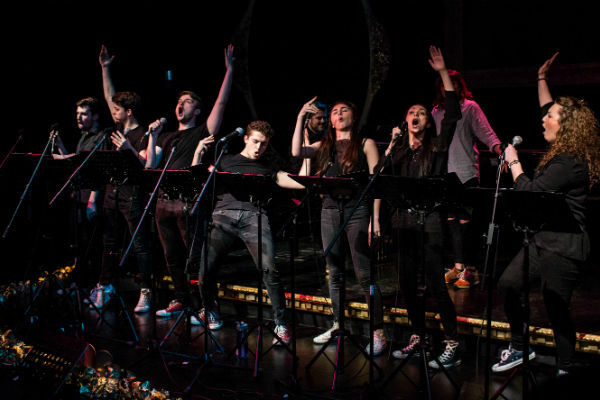 The Perfect Pitch Award, co-presented by Theatre Royal Stratford East, is a sort of Dragons Den for new musical writing … with a twist. In this, long before the aspirants get to the pitch stage, the dragons actually put them together. Writers from across the UK – be they composers, lyricists or book writers – apply as individuals to take part in the scheme. Successful candidates are then paired up with a collaborator of a different stripe to work on a ten-minute pitch of a new musical. These are presented in a rehearsed reading format before a panel of industry judges who whittle these down to four finalist teams. This year, the four finalist writing teams were selected from nearly 200 applications. 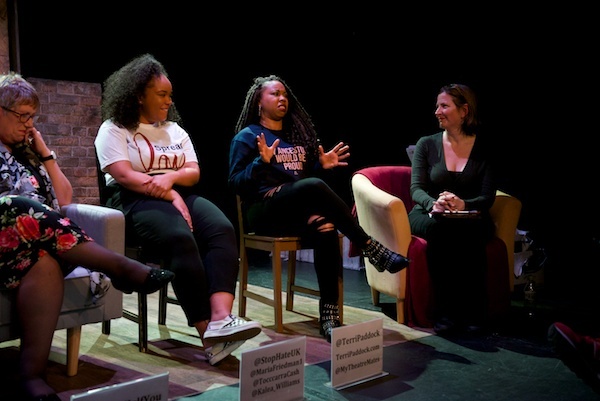 These four pitched their ideas on Friday to a judging panel that included Perfect Pitch patron Michael Ball, David Baddiel, Stratford East resident director Pooja Ghai, ZooNation director and choreographer Kate Prince and playwright Roy Williams. Each pitch was topped and tailed by the writers, first introducing their musical idea then answering questions from the judges, between which a professional cast – Maisy Bawden, Victoria Boden, Gabrielle Brooks, Natasha Cottriall, Nolan Frederick, Helen Kurup, Jonathan Livingstone, Rebekah Lowings, Kane Oliver Parry, Denise Pitter, Martin Sarreal, Nicola Sloane, Celine Rosa Tan and Steve Varnom – performed extracts. The winners on Friday were Daniel York and Craig Adams for their piece Sinking Water. And the prize? 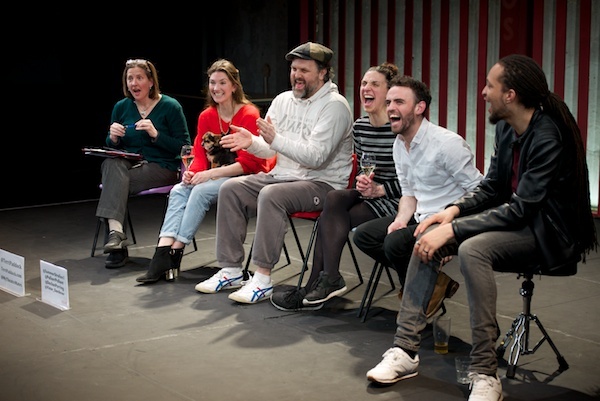 £12,000 to afford them the time to collaborate further and write a full draft of the show towards a professional staged reading and/or production supported and mentored throughout by Perfect Pitch and Theatre Royal Stratford East. “I’m delighted that Daniel York and Craig Adams have been announced as the winners of the Perfect Pitch award 2015/2016. “Their piece Sinking Water takes place in the midst of events surrounding the tragic drowning of 23 illegal migrant Chinese cockle pickers in Morcambe Bay. York Loh and Adams have used those terrible events as the framework while exploring other characters around the tragedy, the local councilors, journalists and economic pressures that were brought to bear on the Chinese protagonists. 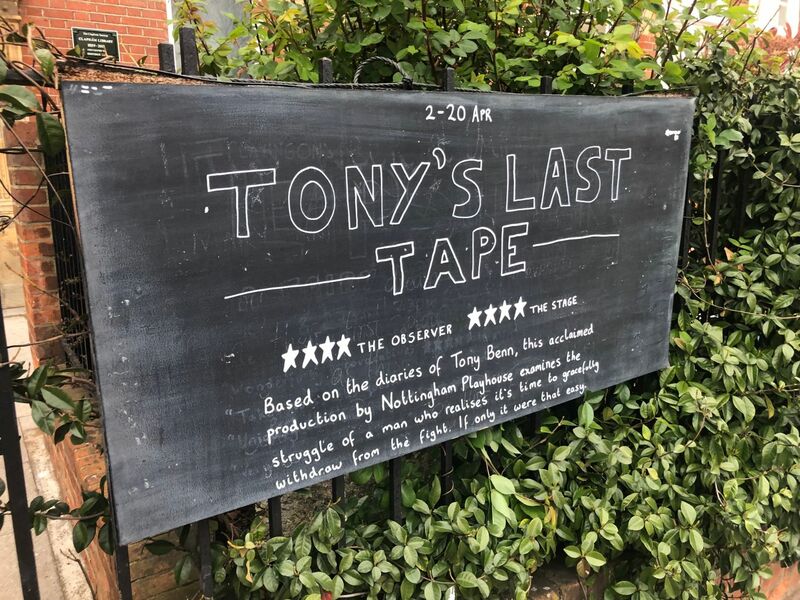 This is a stirring and emotive piece of theatre, which asks bigger questions of the British psyche, our attitude to cheap labour, migrants and foreign deaths. A beautifully, thoughtful piece”. The Perfect Pitch Award ceremony was held the same day that another musical developed by Perfect Pitch, The Go-Beween, first seen at West Yorkshire Playhouse in 2011, was announced for a West End transfer starring musical legend Michael Crawford. “It’s an exciting time for the British musical right now!” Andy added – something of an understatement. 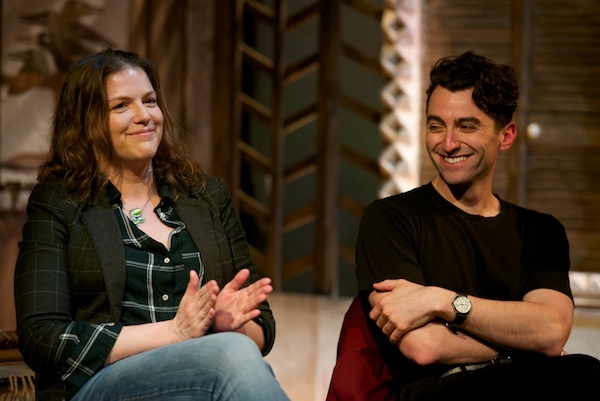 I’ve known and supported Andy and Perfect Pitch for many years – for many years when I ran the WhatsOnStage Awards, we had a Perfect Pitch slot in our annual awards ceremony specifically to showcase a new musical song. 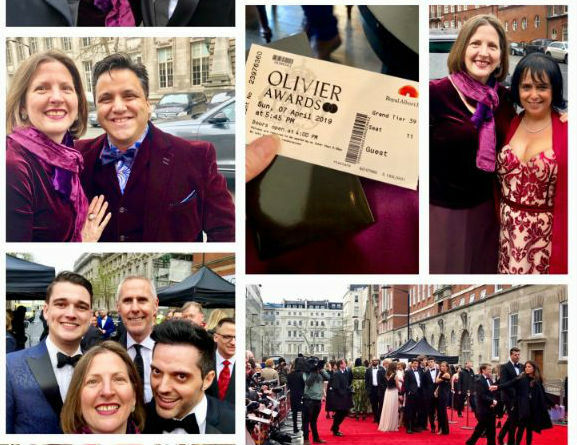 So it was wonderful to be able to be there on Friday to continue to support this great organisation in my new guises, tweeting from Stage Faves (as well as My Theatre Mates and my own account) – and to receive such great reciprocal support, including a lovely shout-out by Andy from the stage. 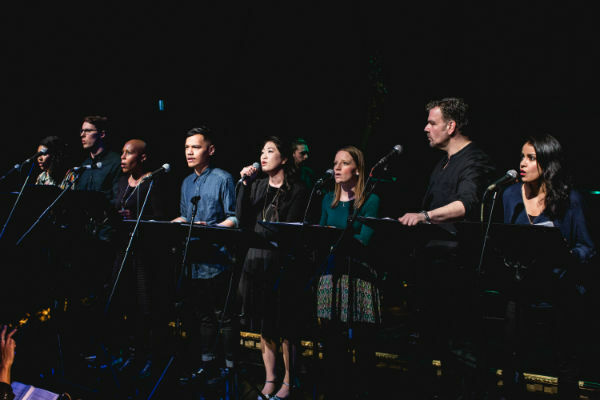 Gavin Whitworth, Shireen Mula and Joe Von Malachowski; Zara McFarlane and May Sumbwanyambe – and to everyone else involved.